Stewards of your lawn, plants, and trees. Lucas is the dependable choice for your commercial needs. We’re committed to providing a safe workplace. For generations, Lucas Tree Experts has provided safe, reliable and innovative tree, vegetation management, and storm restoration services for our utility and commercial customers across New England, the southeastern U.S., and Canada. Here in southern Maine, Lucas Tree Experts is also proud to serve residential homeowners with responsible lawn, plant, and tree care services. Want your lawn, plants, and trees to thrive? Leave your lawn to Lucas. While there are a variety of assorted projects homeowners can easily do to maintain their property’s appearance, when it comes to tree services it’s generally better to err on the side of caution and call in the professionals. Professional tree services may become necessary when any of the large trees on your property are leaning, growing too close to your house, or dying as a result of disease, insect infestation, age or storm damage Any of theses conditions can be considered a liability and a safety hazard requiring tree removal. Due to the risk of serious injuries and potential property damage, homeowners are strongly advised not to attempt tree removal projects by themselves. Removing a tree or a large limb safely requires years of training, the right tools, and heavy equipment. These tasks are best left to a specialist like Lucas Tree Experts with the training, credentials, and equipment necessary to take them on safely and effectively. For over 80 years, Lucas Tree Experts has been a leader in the professional tree service industry. 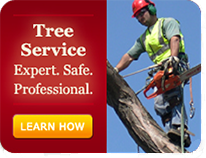 Our specialized tree services include everything from pruning and limb removal to tree removal and stump grinding. Lucas is an accredited company of the Tree Care Industry Association (TCIA) and our arborists and personnel are highly trained and certified in all aspects of professional arboriculture. Our accreditation is based on strict adherence to industry standards for safety, quality, ongoing training, and an unswerving commitment to ethics and excellence in all that we do. We aren’t just another business that specializes in tree care; we are deeply devoted stewards of the environment. When you hire Lucas Tree Experts, our professionalism, integrity and high standards of excellence are apparent in each service we perform. For more information about our professional residential tree care services, talk with a Lucas Tree Expert today! Contact Lucas about Tree Services Today! Your home is more than a house and a yard. It’s your sanctuary. Your Pride. You want a healthy, green lawn, but you don’t want to harm the environment. Ask about Evergreen Lawn Care only available from Lucas Tree Experts. Whether you desire a total organic lawn care program or you just want to minimize your pesticide use, Evergreen Lawn Care has a program for you. 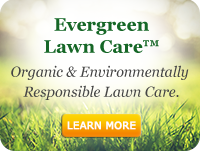 Learn about Evergreen Lawn Care. It’s different. It’s responsible. It’s Maine. The presence of mosquitoes and ticks on your property are cause for genuine concern. This is especially true if you have observed an increase in the number of these pests on your property over the past few years. Mosquitoes and ticks can transmit serious diseases such as West Nile Virus (WNV), Eastern Equine Encephalitis (EEE), Lyme disease and anaplasmosis. These diseases have been increasing steadily in Maine and across the country in recent years and pose dangerous health risks to humans and animals. The increasing presence of these pests and the risk of their bites should be taken seriously. Hiring a professional pest control service can eliminate or prevent infestations and greatly reduce the risk of you or your loved ones from becoming victims of vector-borne diseases. If you have a mosquito infestation, or a tick infestation, don’t take any chances. Lucas Residential offers complete programs for both mosquito control and tick control around your home and business. These highly effective programs can control the adult pest populations on your property quickly and safely. In addition, our state-licensed pesticide applicators will identify any problem areas that could cause future infestations and make appropriate recommendations. For more information about our professional residential mosquito and tick control services, talk with a Lucas Tree Expert today! Contact Lucas about Mosquito & Tick Control !